The Seal Island Bridge Structure; officially known as the Great Bras d’Or Crossing, was constructed in 1961 in Victoria County, Nova Scotia. 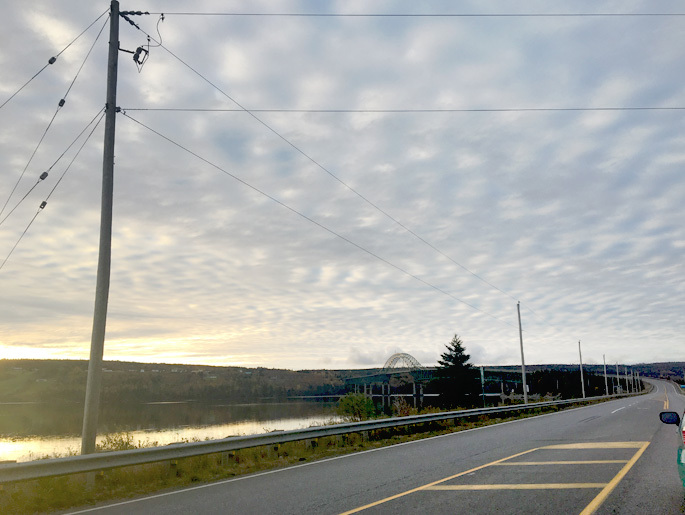 The Seal Island Bridge is the third longest bridge span in Nova Scotia and is a crucial link in the Trans-Canada Highway between Sydney and Baddeck, carrying more than 7500 vehicles per day during peak periods over the Great Bras d’Or channel of the Bras d’Or Lake. The bridge structure consists of 8 steel box truss spans with three 250 ft. approach spans, two 250 ft. splay spans, and a three span continuous main span composed of two 350 ft. side spans and a 500 ft. center arch span. The steel superstructure is supported on tall reinforced concrete piers. In November 2016, the Seal Island Bridge Structure sustained a fatigue failure in one of the center arch span truss diagonals resulting in the center arch span to displace vertically 38 mm. NSTIR consulted HEC to provide structural engineering services for the structural assessment of the three span continuous main span and rehabilitation of the damaged truss diagonal located within the 500 ft. center arch span. 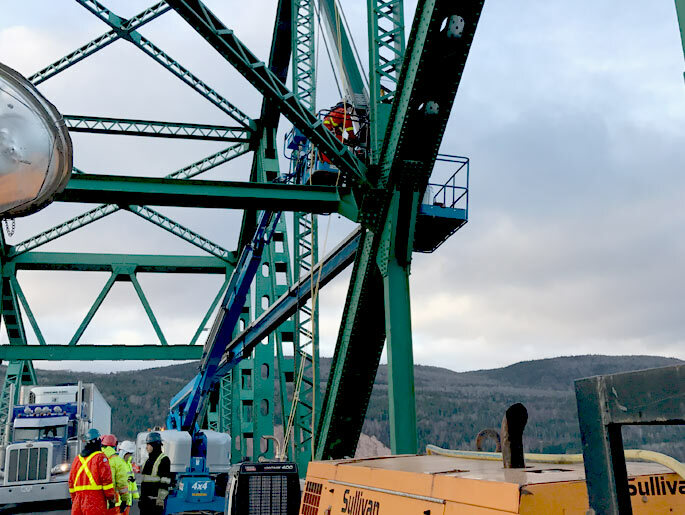 HEC completed an emergency condition assessment of the bridge structure to ensure there were no additional connections presenting evidence of fatigue failure. In parallel with the condition assessment, HEC developed a 3D finite element model of the three span continuous main span structure. A structural analysis was completed to determine whether the center arch span truss structure was adequate during in-service conditions after sustaining a 38 mm global displacement from the failure of the truss diagonal. Understanding that the Seal Island Bridge is a critical structure, HEC was able to maintain a single lane of alternating traffic on the opposite traffic lane relative to the failed truss diagonal, thus preventing overstresses in the arch chords. HEC developed an innovative structural repair with detailed phasing drawings which permitted the replacement of the damaged truss diagonal while reinstating the geometry of the truss chords by jacking the nodes on the top and bottom chords of the truss together along the axis of the failed diagonal member. Thus, additional stresses that were developed in the truss chords from the global displacement of the truss were relieved and the axial load was reinstated back into the replacement diagonal.